“#MountainsMatter” is the theme chosen for this year’s celebration of International Mountain Day. #MountainsMatter for Water as mountains are the world’s ‘water towers’, providing between 60 and 80 percent of all freshwater resources for our planet. However, all available records indicate that glaciers in mountain ranges around the world are retreating and disappearing due to climate change. 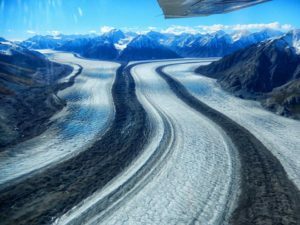 At least 600 glaciers have disappeared completely over the past decades, affecting water supplies relied on by billions living downstream. #MountainsMatters for Disaster Risk Reduction as climatic variations are triggering disasters. Avalanches, mudflows and landslides are tumbling downstream, stripping bare forests, flooding communities and populations. #MountainsMatter for Tourism as mountain destinations attract around 15-20 percent of global tourismand are areas of important cultural diversity, knowledge and heritage. Although mountain tourism has the potential to foster economic development in remote and isolated regions, many mountain communities are still not benefiting and live in poverty. #MountainsMatter for Food as they are important centres of agricultural biodiversity and are home to many of the foods that come to our table, such as rice, potatoes, quinoa, tomatoes and barley. Yet, they are home to some of the hungriest peoples in the world with a high vulnerability to food shortages and malnutrition, and climate change is affecting mountain agriculture. #MountainsMatter for Youth as despite the beautiful landscapes, life in the mountains can be tough, particularly for rural youth. Abandoning their villages in search of employment elsewhere has led to an absence of young people and an increasing labour shortage. Migration from mountains leads to an increase in abandoned agricultural, land degradation and often forest fires. At community level, cultural values and ancient traditions are lost. #MountainsMatter for Indigenous Peoples as many mountain areas host ancient indigenous communities that possess and maintain precious knowledge, traditions and languages. Mountain peoples have developed remarkable land use systems and have a wealth of knowledge and strategies accumulated over generations on how to adapt to climate variability. #MountainsMatter for Biodiversity as half of the world’s biodiversity hotspots are concentrated in mountains and mountains support approximately one-quarter of terrestrial biological diversity. Mountains are home to rare animals such as gorillas, snow leopards and the majestic tahr as well as strikingly beautiful plants such as orchids and lobelias. International Mountain Day 2018 will be an occasion to create a large social movement that can bring mountain issues on the tables of politicians. Through a global campaign, a social media strategy and events around the world, we plan to tell the world that the current neglect of mountains and mountain peoples must stop. We therefore ask everyone to use the hashtag #MountainsMatter in all their communications specifying why mountains matter for them. 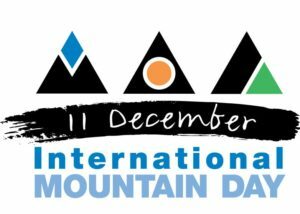 While international mountain day themes are suggested for each year, countries, communities and organizations are welcome to celebrate International Mountain Day through the choice of a different theme that might be more relevant to them. 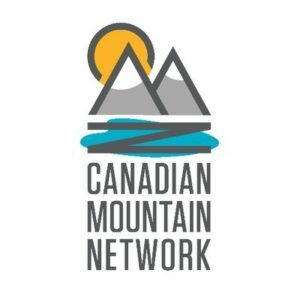 The Canadian Mountain Network, a pan-Canadian alliance of partners representative of universities, governments, First Nations, Non-government organizations (NGO’s) and businesses wish to advance that promotional initiative, and to that end have determined that they will lead the preparation of a national Networks of Centres of Excellence (NCE) proposal. The Networks of Centres of Excellence is a joint initiative of four Canadian Research Councils, and includes some 1,900 public and private sector organizations around the globe. The Networks of Centres of Excellence provide funding for research, and administer programs that provide multi-year funding (five years at a time which may be renewed up to twice, for a fifteen year funding envelope.) The money is provided to mobilize multidisciplinary research in specific areas of interest with a view to developing a more advanced, healthier, competitive and prosperous Canada by finding solutions to major social, economic and health care challenges. How the Canadian Mountain Network might be structured to maximize benefits to the Yukon. The Canadian Mountain Network is currently leading the preparation of a national Networks of Centres of Excellence proposal, and we feel the Kluane region is well suited to offer the world class environment to attract such attention. Looking beyond the festival, Haines Junction is the gateway to the Kluane National Park and Reserve of Canada. Not only is our area a mountainous region but it is indeed among the most unique mountainous regions on the planet. Demonstrates some of the best examples of glaciation and modification of landscape by glacial action in a region still tectonically active, spectacularly beautiful, and where natural processes prevail. It contains the most important and significant natural habitats for in-situ conservation of biological diversity, including those containing threatened species of outstanding universal value from the point of view of science or conservation. We recognise the uniqueness of the area, and the potential contribution that further research and a greater understanding of this area could contribute to our global knowledge base in many disciplines, but not the least of which may be global warming. We recognize the importance of the “clean and green” economic opportunities that may accrue from eco-tourism, research and academic pursuit in the region. We recognize the opportunity that may be afforded our community youth in potential training and other opportunities. We hope that the festival is one small step in helping us eventually attract researchers in securing a “better informed” future through ongoing research in a truly unique area. We want to promote winter economic development and tourism in the Haines Junction area through this December festival. We hope to promote mountain culture in all its forms in Haines Junction – outdoor recreation, arts, music, literature, First Nation culture, traditional skills, backcountry safety, science and research, and partnerships with all the entities involved in those. Come on out and enjoy our 3rd annual Haines Junction celebration of International Mountain Day on Nov 30-Dec 2, 2018! !